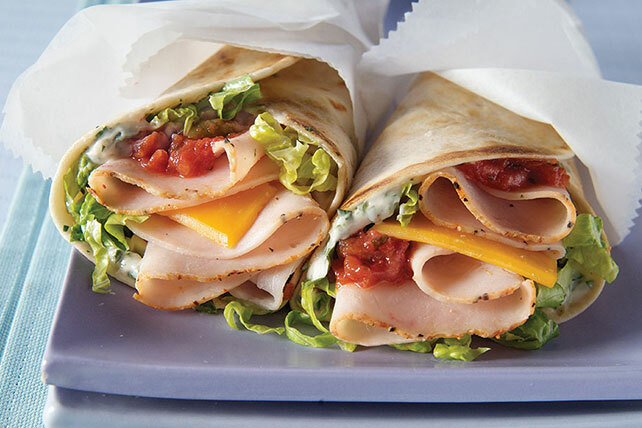 Mesquite smoked turkey breast and salsa give these tasty wraps their Tex-Mex roots. The cilantro-spiked dressing probably has something to do with it, too! Mix dressing and cilantro; spread onto tortillas. Spice up the wraps by adding a few jalapeno pepper slices or 1/4 cup rinsed canned black or pinto beans to each wrap before rolling up.